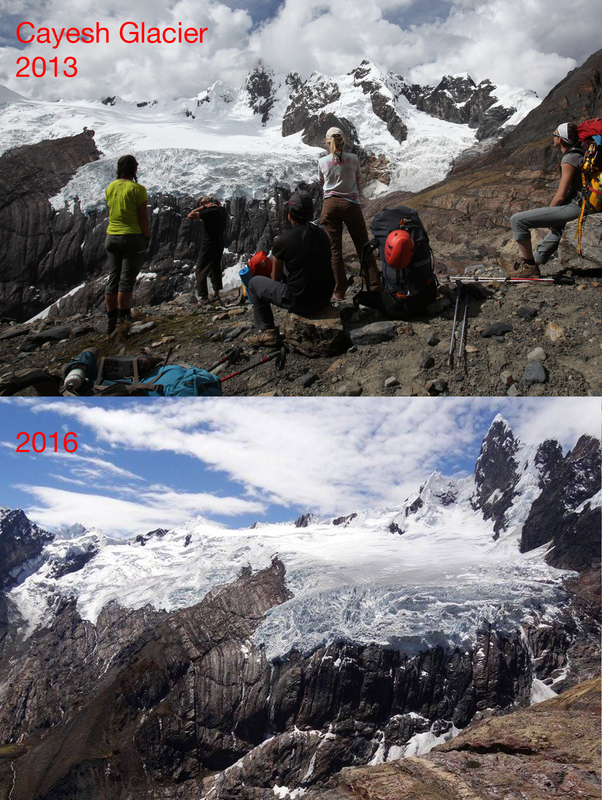 Seeing the photos of the American Climber Science Program’s expedition this summer has really bummed me out. Reasons? 1. I’m not there. 2. 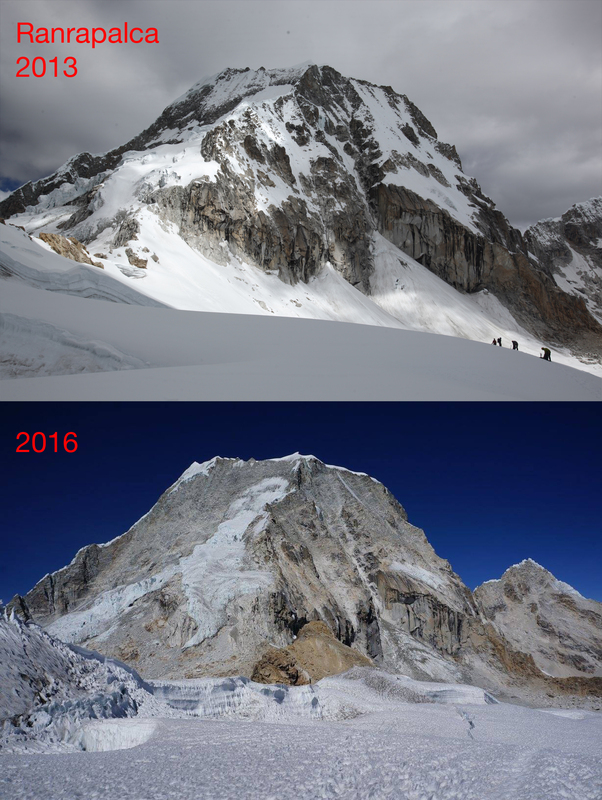 The glaciers are gone. Not just a little bit, but completely and drastically different. 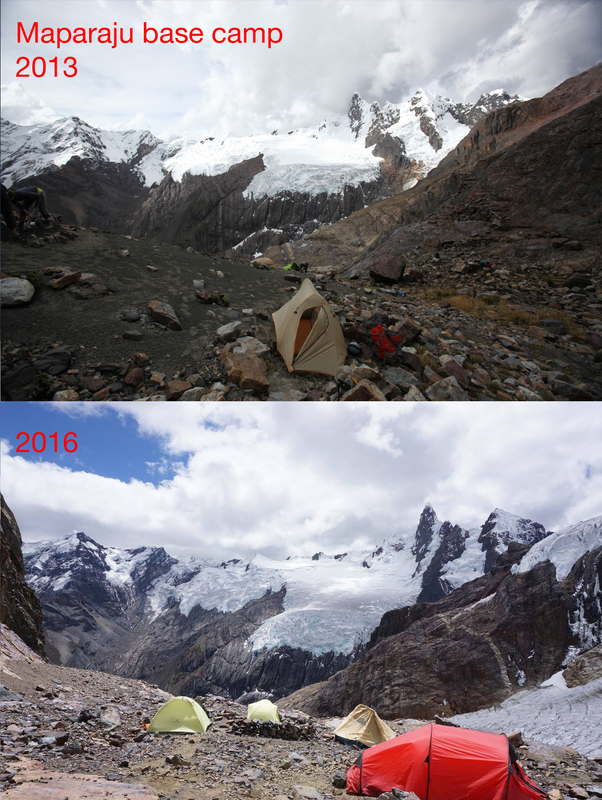 So I grabbed pics from this year’s crew and compared them to my last trip in 2013. Let’s just say the comparison should speak for itself, especially Ranrapalca & Andevite. 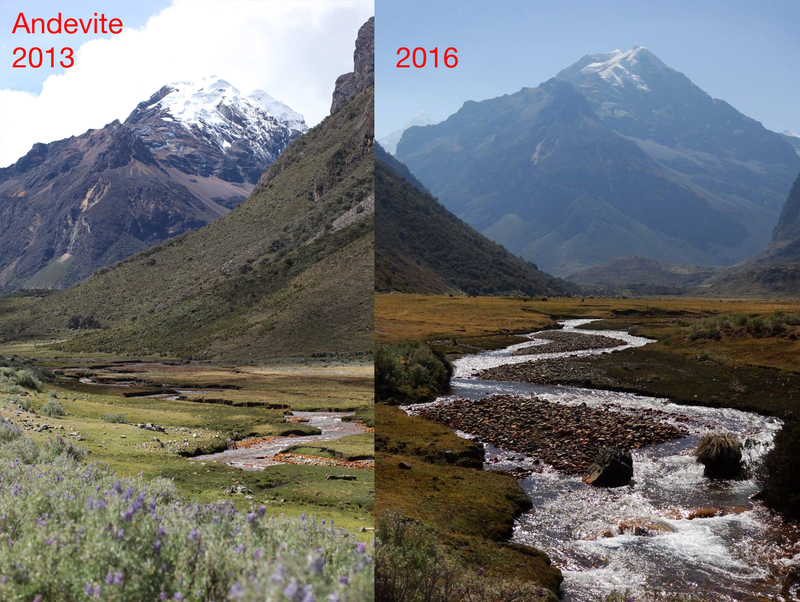 Peru is in a unique position with it’s region of the Andes… tropical glaciers are the canary in the mine, if you will, the first signal of a changing planet. I just hope the rest of the world recognized and addresses the issue before its too late. It may not be shields up/red alert just yet, but it sure is on the horizon. 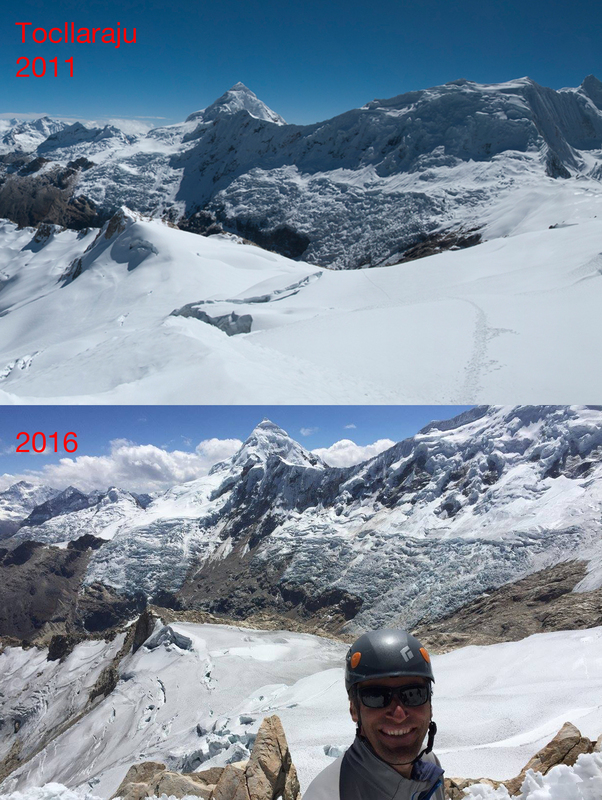 And having been there personally, and seen a change from 2011 to 2013 first hand, the difference in 2016 is alarming.